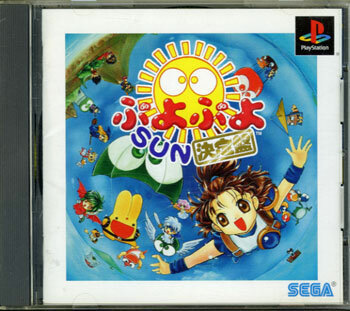 Puyo Puyo is Japanese onomatopoeia for something soft to touch, referring to the jelly like balls that fall from the sky to be aligned with similar colours in this saccharine soaked, kawaii puzzler. 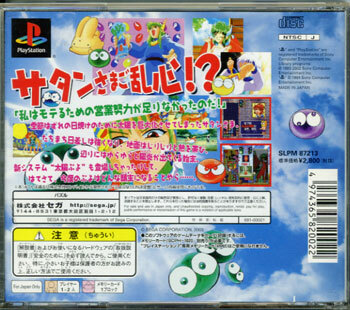 Highly accomplished version which was re-released to introduce its polished gameplay to the PS2 crew. Second hand. Please note this is the Sega reprint version. Complete with spine and registration cards. Disk has been lightly buffed.